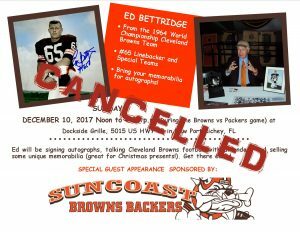 We just got a call from Ed Bettridge saying he fell ill this week and had to return home to Ohio for treatment. He sends his apologies and hope to be able to reschedule for next season. Therefore, our Meet & Greet event has to be CANCELLED. 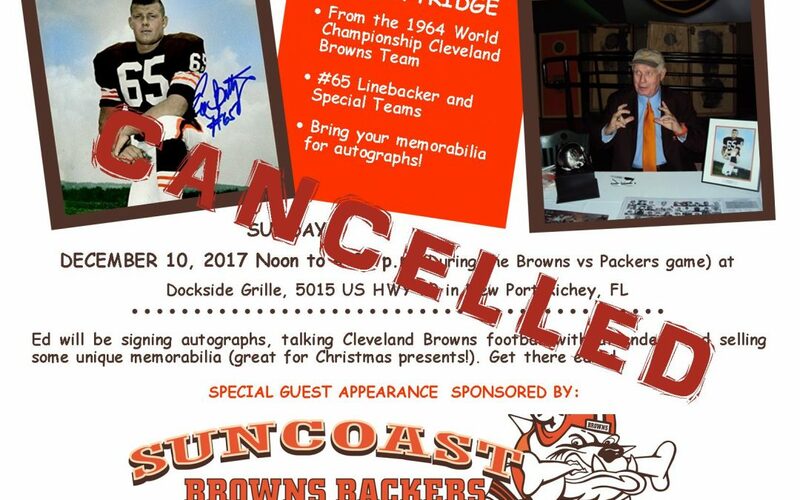 Of course, we will still be meeting for our regular game viewing (Packers vs Browns) at 1PM at Dockside.